Shy Ben is looking for somebody to love. He's had his eye on dark-eyed, leather-clad, motorcycle-riding Vince for months, though he knows if he wants a lasting relationship he should swear off bad boys. Ben is thrilled to receive tickets to a Queen concert for his birthday and even happier to learn that Vince is a fan too. Ben offers Vince his extra ticket, and their concert date reveals there's more to Vince than meets the eye. 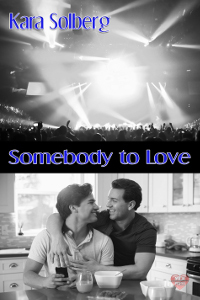 During an evening of flirtation and songs they both love - - and a bit of passionate fun back at Ben's place - - he tries to figure out whether Vince is the guy he's been looking for.